Western party decorations DYI using cutouts. 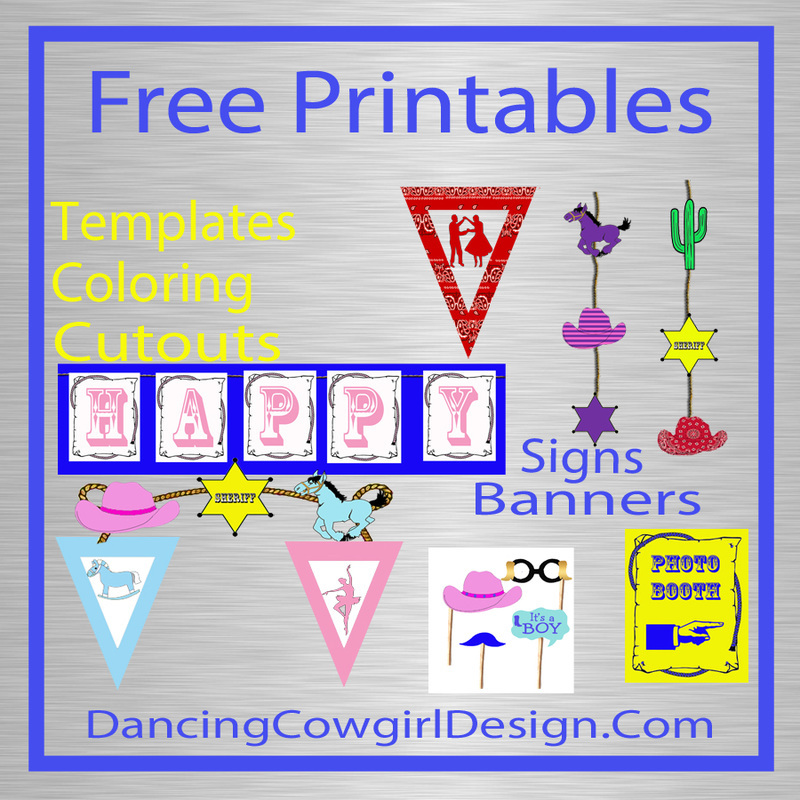 Get ideas, instructions, free patterns and printables to make your own party decorations. Besides some of the cost savings that you can realize from creating your own party decorations, there are other good reasons for doing it yourself. Some people enjoy crafting and wouldn't have it any other way than to make exactly what they want. It is also fun to involve kids in the process especially if you are preparing for their party. What ever your reason is, I hope that you will find some creative and useful ideas for a western party. 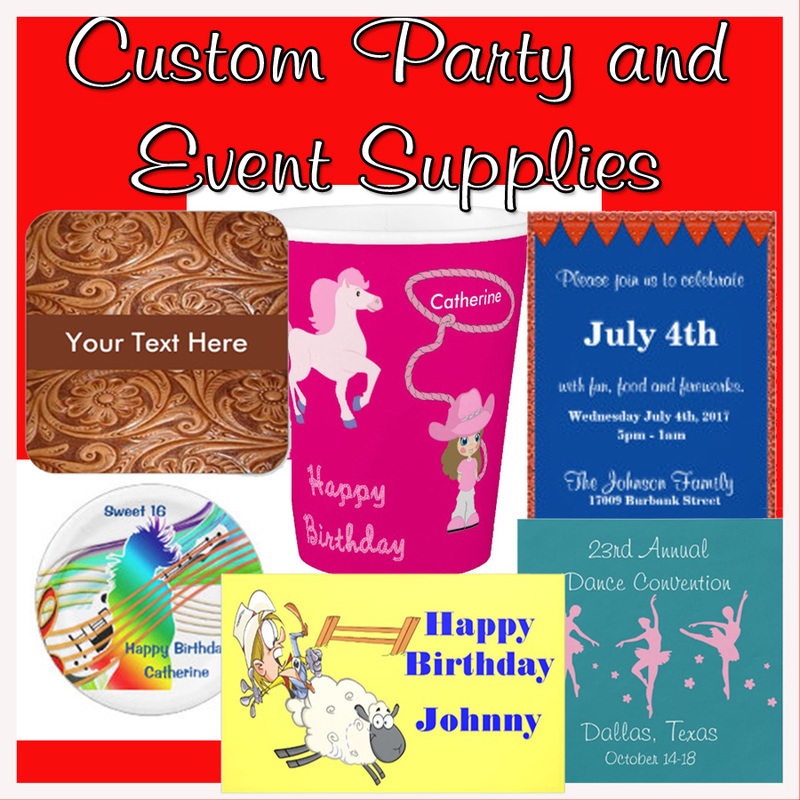 I do have several pages dedicated to western themed parties where you can find retail party decorations and more fun ideas for each. 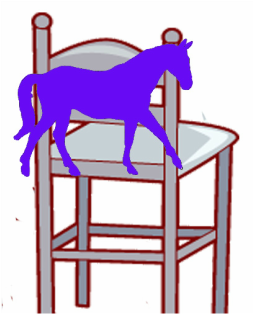 Making cutouts is pretty easy to do and you will find many templates for making western cutouts here. I have some free printables in different sizes that you can print directly to the paper you want to use or grab some of the colored samples that I have made up. Use individual cutouts to hang on the wall especially near your food or cake serving area. Use them on the back of chairs just for decoration or add guest names to them. 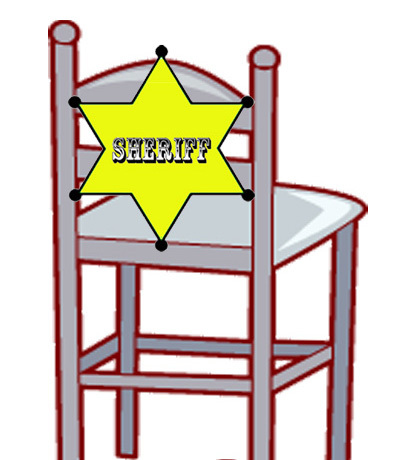 Link a few cutouts together with string to make a banner that your can use on the back of the chairs or on the wall. Adjust the size cutout for where your are going to use it. You could also string your cutouts vertically to hang from the ceiling. Leave extra string at the top and loop it around a thumb tack for hanging. Here is a couple of examples, one using traditional western theme colors and the other in purple and stripes. You can always use glitter , glitter pens, colored markers, sequins and other things to accent your cutouts. You can also make banners that will spell out names or other words with no cutting involved. Get my free printables like these below. There is a full set of letters and numbers that you can work with to make these. Triangle shape banners will need to be cut out, but I think it will be worth it. Here are some examples. Make signs that point to your photo booth, activities, games or other areas. You can get the printable templates for these signs here. Print them to plain or colored paper. Don't forget that you can also print these to 11 x 14 on most home printers and make even larger signs. Make your own props on a stick for taking fun photos at your party. Here are a few ideas. ​Cowboy hats, mustaches, glasses and speech bubbles. Attach your cutout to small diameter dowel sticks or even blunt the ends of shish kabob sticks that you can get at the grocery store. Fix up your table with cutouts also. Here are some ideas. Make name cards or table numbers. For stand up table numbers or name cards, glue two pieces together at the top or down one side so they can be propped open and stand own their own. Make stand up cutouts to be a centerpiece. Attach your cutouts to tooth picks to make cup cake toppers and food picks. Get the easy instructions to make these.